Our regimen starts on Wash Day. If we have time, I will wash and style the girls' hair the same day. If not, I will do Lil Sis's hair on one day and then Big Sis's hair the following day. Wash day usually starts on Saturday, if we are not too busy. 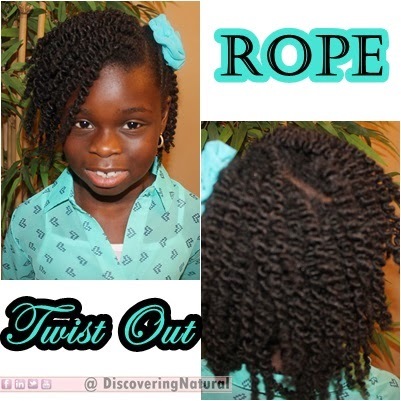 Click here to Learn how to care for multiple kids hair. The first step is to undo the previous style. 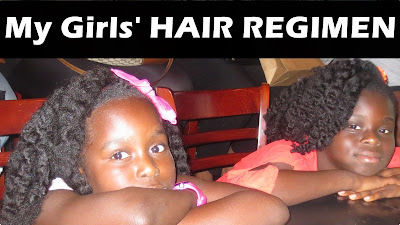 Click here or watch below to learn how I do it without breaking their hair. Apply Oil Mix, and Moisturizer Cream (LOC Method). 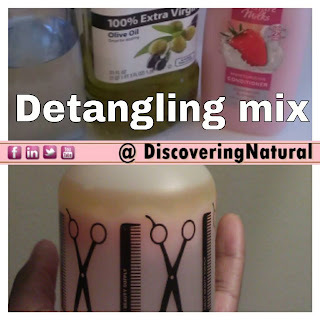 Detangle hair using a mixture of conditioner , water, and Extra Virgin Olive Oil. 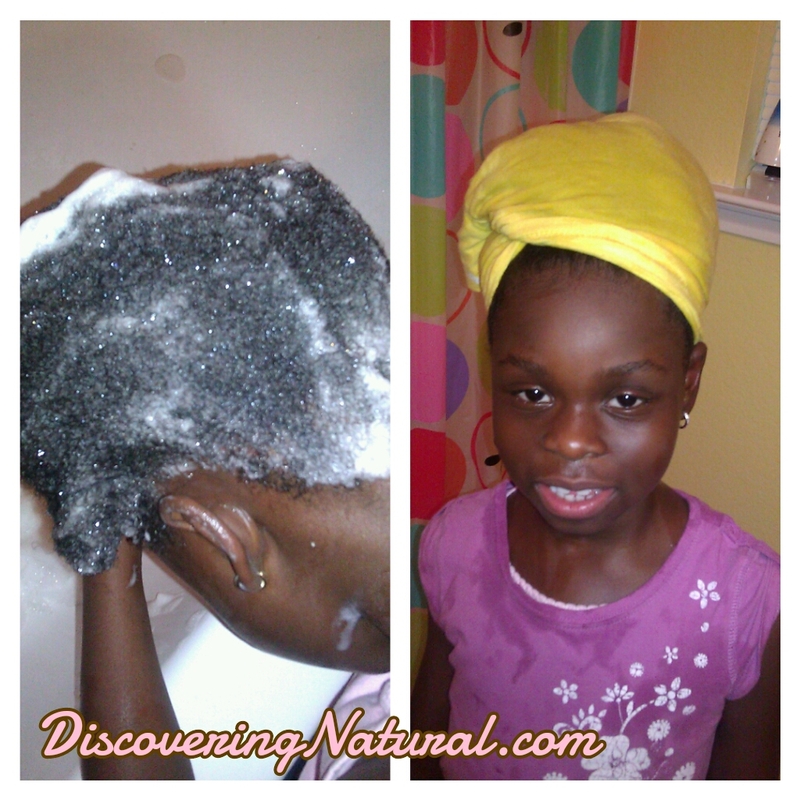 (Lil Sis) Detangle hair using a mixture of conditioner, water, and Extra Virgin Olive Oil. Use the LOC method to moisturize hair or just spritz hair with DIY moisturizing spritz . To lay edges, we also use Whipped Shea butter, and tie down with satin/silk scarf. This is so detailed! 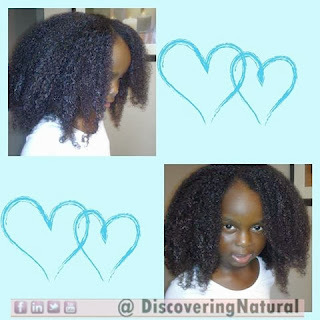 I have a 5 yr old who has always had natural hair which is soft and manageable. We started our healthy hair journeys together in December '13, my hair has grown about 3 inches since then but hers doesn't seem to have grown. Looking at the previous years pics, it seems her hair has been the same length like forever. She loves having beads in her hair, what do you think of that? I'm beginning to think that the manipulation of her ends with beads and elastics might be stopping her retention. Do you think beads are bad for hair or okay? I don't think beads are bad however, I believe that you need to give the hair a break once in a while. You can start off with not doing beads for a few months, during that time, make sure you are protecting the ends and keeping it moisturized. Because hair is constantly growing, the issue here seems to be that you are not retaining length. Hope this helps. Alright. I'll definitely try that out. Thanks a lot. You really put a lot of work into your blog and videos. Well done! Thanks so much for this. I soooooo love your blog. its wonderful. I have refused to close it since i stumbled on it. Do you think doing Didi every week (with or without wool) is a good idea? I do a lot of Didi for my 4 year old, apply beads most times because of school, but it seems the hair is no more growing. I do a DC every fortnight (which is when i wash the hair). What can i do differently pls? Thank you. When I see hair not growing, it is not that the hair is not growing, the problem is that you are not "retaining hair". What that means is that the hair is breaking. Because Hair always grow. Here are some things that I would suggest. This helps us. If you use a comb, try to not use one for a week. Instead, use your fingers to detangle. Work section by section. Doing "Didi" every week can be stressful on the hair. You can rotate between didi (cornrows), and a less stressful style. I rotate with my girls the following styles: Didi, Threading (Owu), Twisting the hair, and also packing the hair and then either twisting or threading the ends. This will give the hair a little break. Also, keep track of how much breakage she is getting. When moisturizing her hair, make sure to pay special attention to the ends of her hair. Make sure you keep the hair moisturized. Does her hair appear dry all the time. If so, this is guaranteed to lead to breakage. can i use aloe vera gel? Thanks. Yes, you can use gel. However, do not use it as a final rinse, instead use it as styler or mix a little in your moisturizer if it does not already contain aloe vera. I have braids (box braids) as a protective style, how can I institute the LOC Method? Thanks for this, can I use this information on my toddler thou? Yes, you can. However, I will not do the protein treatment for a toddler. Maybe when they are about 5 years old. 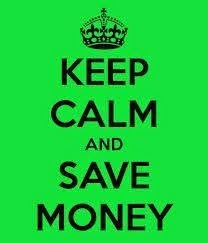 However, if you see a lot of breakage, then do a light one. My oldest daughter's hair was like this. This is quite normal, please do not stress out. You do not need to cut it, Just make sure to moisturize it regularly. Do styles that will not stress out the hair. My 2 yr old daughter has very, VERY dry 4C hair. I have been using the LOC method in her hair for about 2 months now. Her hair is moisturized at the time that I do the LOC method but by the end of the day it is right back to looking very dry and brittle. Do you have any suggestions as to how I can moisturize or keep her hair moisturized? I have experienced this with my younger daughter before and here are some tips that helped us. Make sure to clarify the hair at least once a month. This is like starting off on a clean slate. Sometimes it could be that there is product buildup that is not allowing the moisturizing properties to penetrate well. The second thing is to use the right products. For us, using products that contained silicones, mineral oil, petroleum, always ends up with dry hair. Look for products that do not contain these ingredients. When you moisturize her hair are you sealing in the moisture. When you do the LOC method, look for a thick butter like shea butter or oil like castor oil and add a small amount to her hair. Doing a deep conditioning session weekly also help. 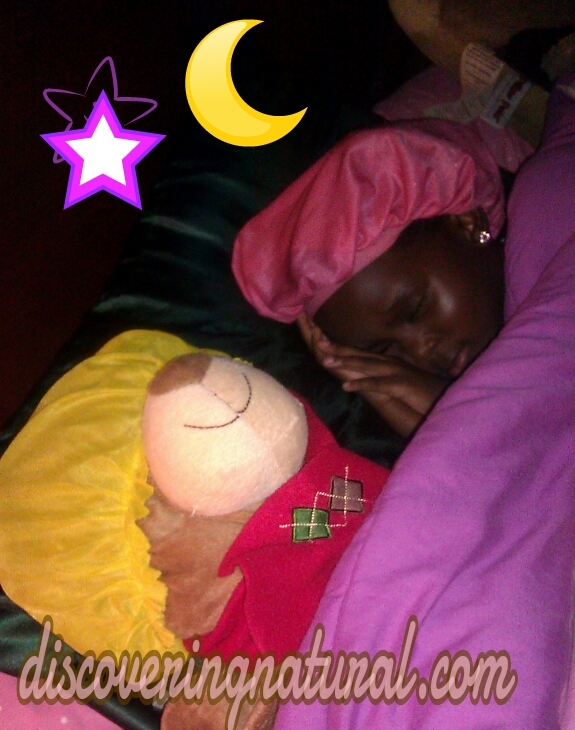 When she goes to bed, make sure she is wearing a bonnet. I know it is hard for a 2 year old to keep one on, however, you can use a satin pillowcase for her. When it comes to cleansing her hair, you can also try co-washing. So for example, if you co-wash her hair this week, then use a shampoo the next. Hope these help. Can you tell me some clarify shampoos? 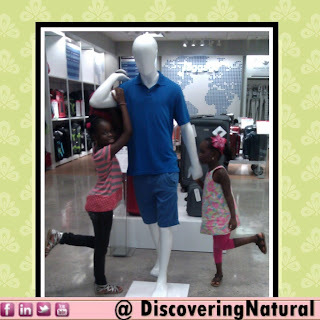 Hi, I have a 7 year old daughter and a 1 in the half year old baby boy, what is a good hair products to use in their hair they have dry hair. What about cantu or mixed chicks? What do you think about Sulfur 8? What oil mix do you use? I truly appreciate you sharing your products, your time and energy on showing us how to take care of our girls hair? I do not use sulfur 8 because it contain petrolatum. The oil mix I use, I make myself. Depending on the needs of the hair. I usually have Extra Virgin olive oil, castor oil, jojoba oil as base, then add on other oils. 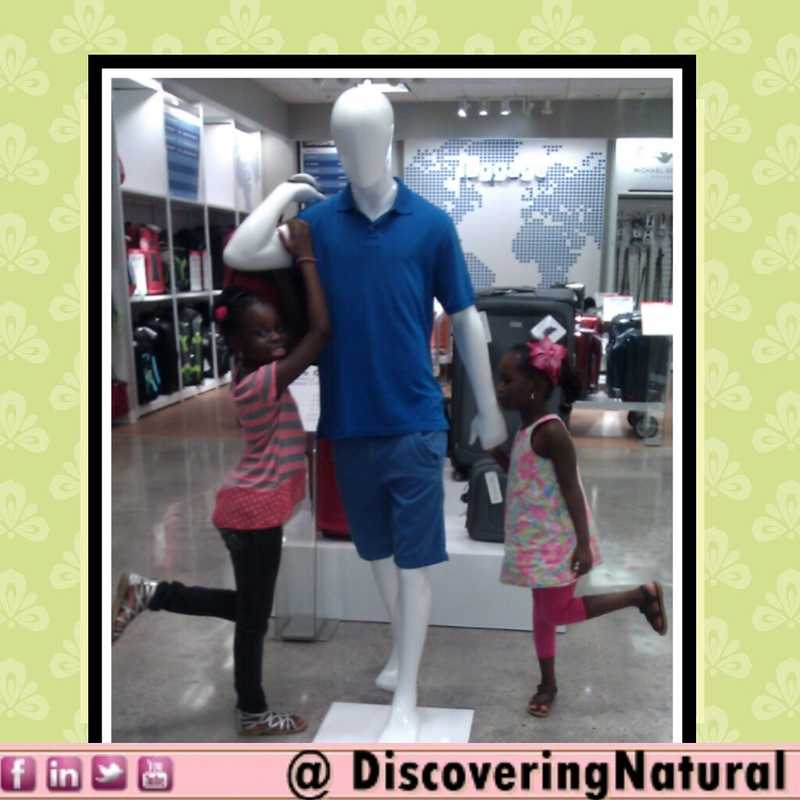 For example since the girls will be in school soon, I will add eucalyptus oil to help keep lice away. Which eucalyptus oil are you using? Hello! I am in love with your blog, youtube channel, and vlog. I admire your beautiful family. I am a new mom and my daughter is 9 months old and has very long hair in the middle front of her head and everywhere else is short. What can I do to make her hair grow and get thicker. I currently use extra virgin olive oil and virgin coconut oil. 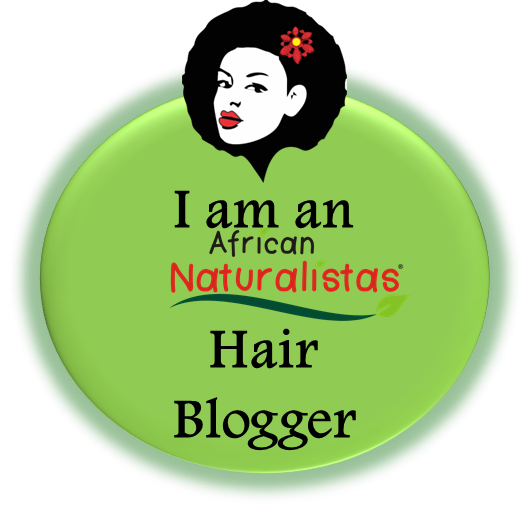 Please what can I do to promote healthy hair growth. Thanks and God Bless you! My daughter is protein sensitive. Can she use the shea moisture products and the eden body works? I cowash if their hair is not too dirty. I do not go too long before doing a full wash. So at least do a full wash once a month. You don't have to use a deep conditioner after cowash, however, I do sometimes. It all depends on how the hair feels. If it is too dry, I deep condition. What is the measurement and recipe for a daily spritz for retain moisture for a toddler? Can the LOC method be made into a spray for hair already in cornrows? HELP!!! My angel is a preschooler who Loves sand, sandbox, leaves with sand I have enough sand to build a mansion but it's hard to get it out of her hair and I think it's made her hair dry. She has a tender and sensitive scalp so manipulation I try to keep to a minimal but would love any suggestions please a well as pool exposure and care for her hair as the warmer days are near. Thanks in advance. Pls do you use Diy protein treatment on the girls? i just discovered this today.. i'm so excited, my princess is 3,never had a hair cut but the hair doesn't seem like it's growing anymore. So so happy I bumped into your blog. I have a 5month old and she has a bald spot at the back of her head though it's growing. Her hair is growing in the middle and front but is obviously divided. I just started using satin sheets on the bed, bouncer and car seat. I use shea bitter and coconut oil for her Hair and scalp. Is there anything else I can do to make surefire that the the rest of her hair meets up with the front. Thank you so much.